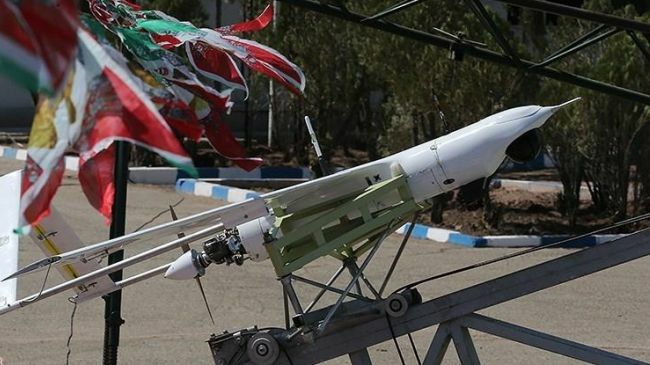 The drone, dubbed Fotros, will be unveiled on Monday during a ceremony attended by Iranian Defense Minister Brigadier General Hossein Dehqan. Fotros is the biggest strategic UAV which has special capabilities. On September 28, the Iranian Army’s Ground Forces unveiled a new indigenous combat drone, dubbed Yasir, which can fly at an altitude of 15,000 feet. Yasir, a portable drone, has a flight endurance of eight hours and effective operational radius of 200 kilometers. It is equipped with state-of-the-art light cameras for reconnaissance. Iran unveiled its first domestically manufactured long-range combat drone, the Karrar (Striker), on August 23, 2010. It reportedly has a range of 1,000 kilometers (620 miles) and can carry two 115-kilogram bombs or precision-guided munitions weighing 227 kilograms. The first Iranian medium-altitude long-endurance UAV, the Shahed-129 (Witness-129), was unveiled in September 2012, which is capable of carrying out combat and reconnaissance missions for 24 hours. Tehran has repeatedly assured other nations that its military might poses no threat to other countries since the Islamic Republic’s defense doctrine is based entirely on deterrence. This entry was posted in Iran and tagged Iran, UAV. Bookmark the permalink.